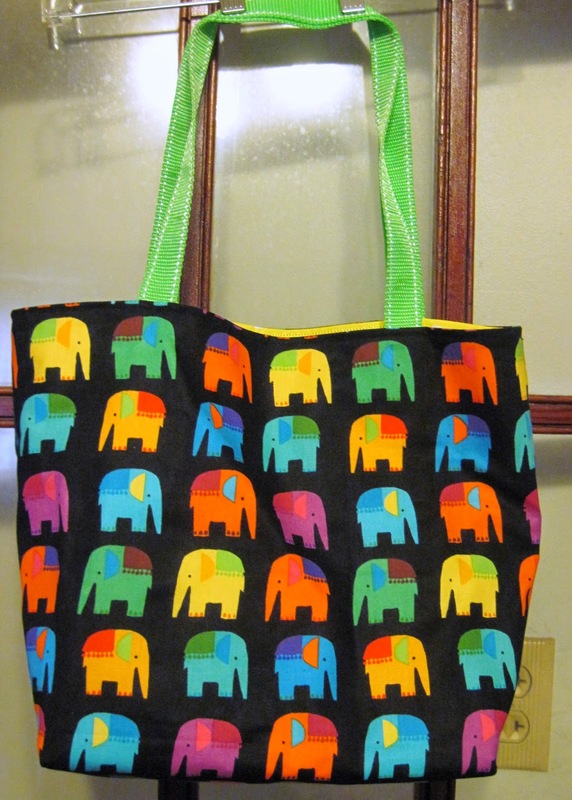 I saw this fabric and knew it would be perfect for an easy bag I wanted to make...who could resist colorful, marching elephants? 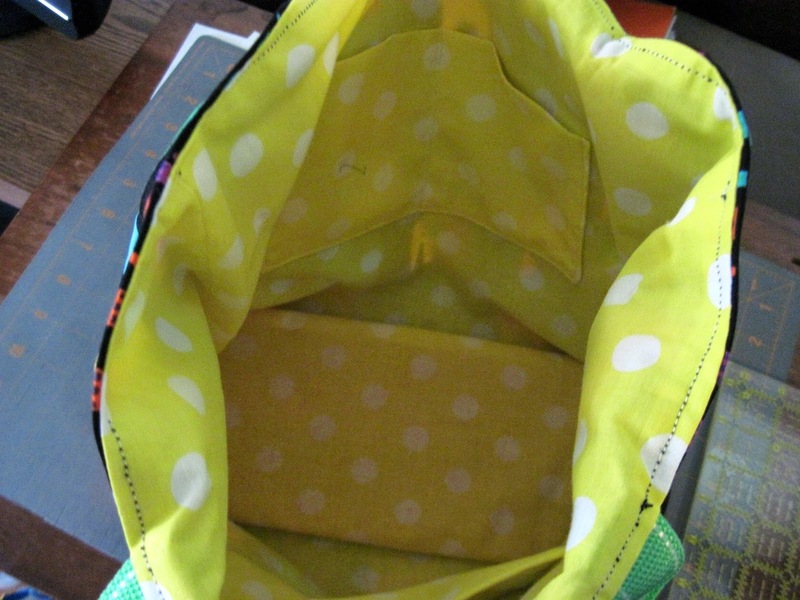 I found yellow dotted fabric for the lining. It's fun to make smaller projects once in awhile, since most of the time I'm working on quilts. I am teaching a Beginning Sewing class for Kid's Camp this summer, so thought this would be perfect. And when it's all over, I'll have a cute bag too! That bag is sew cute! That is a very cute bag. I love it. Love this fabric and the bag is great! Cute bag and cute fabric! Love the elephants AND the dots! Such cute fabric and a great project for the youngsters.